Before we begin, we’d first like to invite our readers to visit our dealership to see the types of vehicles that we have available. Our dealership keeps a broad selection of luxury SUV models on hand because we want our customers to have the value of choice. We believe that customers have a higher likelihood of getting what they want when we keep our inventory stocked. In addition, we keep an inventory in an ever-changing state because it offers our customers ongoing reasons to visit our lot to see the new cars we have available. Should I Buy a Luxury SUV? That’s a good question, and we believe the answer will be different for everyone. However, we’d like to highlight some of the greatest benefits and reasons that families have chosen to sign the dotted line and go with the luxury SUV. First, luxury automakers like Mercedes-Benz have made the interior so that it fits the luxury of a king. You receive all the luxuries in a vehicle that you could ever want along with top-notch amenities. We’d also like to highlight the benefit of safety features. Luxury cars normally have a higher price tag, but you can count on all the right safety features getting included in these vehicles. With a luxury vehicle, you get some of the newest safety technologies added to make it even safer. 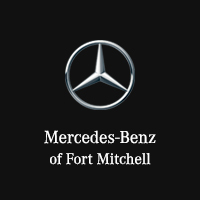 The next benefit is the simple prestige of owning a Mercedes-Benz. You can’t deny that this type of car will turn heads on the road and serve as a great conversation piece. When it comes to valet parking lots, these cars get the best positions, and it announces your arrival at the country club with trumpets and a smile from the valet. Luxury SUVs will often coexist with beauty and all the comfort that you could ever want in a vehicle. You often receive great packages so that you get all the new technology like heated seating and even massage features in the seats for those days where you get stuck in rush hour traffic at its worst. Instead of losing your cool like all the other drivers, you can simply turn on the massage feature and unwind from a long day at the office—life doesn’t get much better than that. When you visit our dealership, you can trust in the quality of the cars that we have available. We like it when our customers come to learn some of our latest offers, and we keep this information available at all times. We inspect every new luxury SUV before we ever put the for sale sign on our cars. As a dealership, we have a goal of bringing the best quality to our customers, which is why we pass all our vehicles through a rigorous testing process to ensure that it meets all its obligations to the customer first—we give dedicated attention to customer satisfaction. It’s one of our highest priorities. Before we go, we’d like to invite everyone reading this to check our dealership. Maybe you don’t want to run to the nearest dealership at this moment. That is not a problem. You can fill out our contact form online, and we have sales representatives who will get back to you as soon as possible. We pride ourselves on the wonderful team of sales staff that we have hired because we have put together an all-star team of world-class sales professionals who put your needs front and center and above all else. If you’d like to learn more about our luxury SUVs, please call us today, and we will schedule a free test drive.